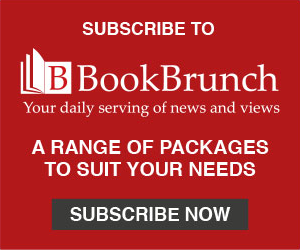 The Welsh Books Council has announced two titles in Welsh that will be available for £1, or in exchange for a free £1 voucher, on World Book Day (WBD) on 7 March. There was a Welsh language book in the WBD selection for the first time last year. The World Book Day campaign in Wales is coordinated by the council and supported by the Welsh Government and Waterstones. The two titles - Na, Nel! 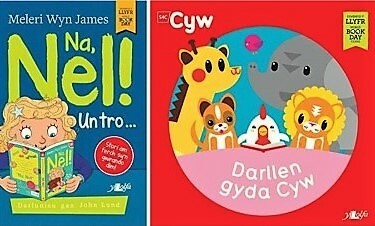 Un tro... by Meleri Wyn James and John Lund, and Darllen gyda Cyw by Anni Llynwill and Debbie Williams (both Y Lolfa) - will also be available in braille, large print and audio versions, thanks to the support of the RNIB. Angharad Sinclair, reading promotions project manager for the Welsh Books Council, said: "Last year was the first time we were able to offer a Welsh-language children's title for World Book Day and we are so pleased to be able to work in partnership with Y Lolfa once again and build on the success of last year by offering two books for the 2019 campaign. Na, Nel! Un tro... was very popular last year and it's great to also be able to offer Darllen gyda Cyw to our younger audiences. These books are a bargain for only £1, or free with a book voucher, and are great introductions to these two series of original and exciting books." Meleri Wyn James has won the Literature Medal at the Urdd Eisteddfod. Anni Llyn was Children's Poet Laureate for Wales between 2015 and 2017; Darllen gyda Cyw follows the tale of Cyw and friends, who have their own week-day series on S4C. Both authors will feature in the Welsh-language Biggest Book Show at Pontio, Bangor (6 March), alongside the current Children's Poet Laureate for Wales Casia Wiliam, author Meilyr Sion and illustrator Huw Aaron. The English-language show will be at The Hafren, Newtown, on 7 March, with contributions from Lucy Owen, Eloise Williams, Claire Fayers, PG Bell and Max Low.